We are totally overwhelmed by your generosity towards our fundraising for the Ushaw Flower Festival and the magnificent total raised of £423.41. Thank you all so much. Thanks to those who sold raffle tickets, supplied cakes and plants and also the wonderful flower arrangements. We are so grateful indeed and we couldn’t have done it without you! Does anyone have any of the following which we could borrow – rusty old chains, manacles, handcuffs, cannon balls, an old wine flagon or jug, a French flag and a Napoleonic hat? If anyone has foliage which we can cut could we go along and do it ourselves? 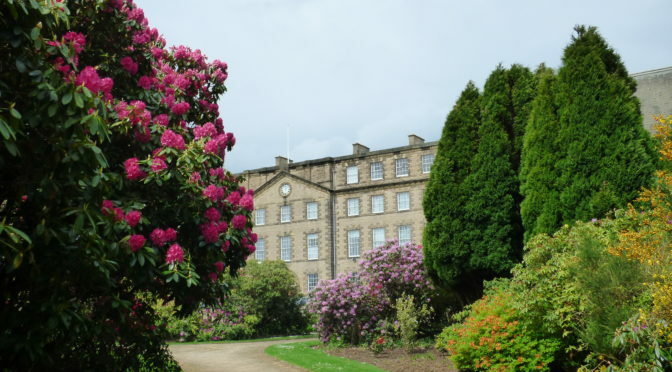 We have very strict guidelines both from Ushaw and from the National Trust as to what we may use in an historic building.